So you want something soothing and relaxing to play while traveling or spending free time at home? Well here's a special one for the Holidays. 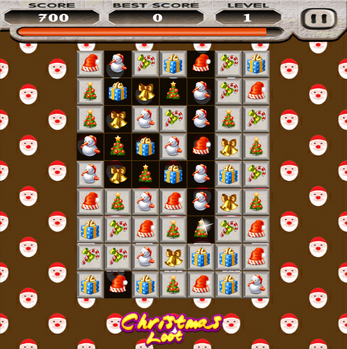 Christmas Loot is a Candy Crush style game with procedural difficulty. Soothing music, and calming HD graphics, won't end any time soon as you got 298 unique levels to win. No in-game ads or micro transactions. *This app will be available on PlayStore soon with in-game ads. *Please support by donating if you loved the game, thanks. I really wish for people to enjoy this game, hence I made it totally free. Its a christmas game.